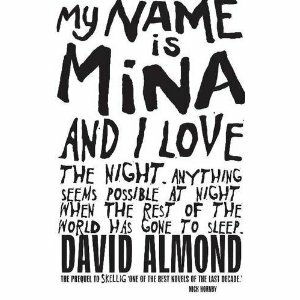 In My Name Is Mina David Almond reintroduces readers to the girl next door who, in his bestselling first novel Skellig shared in the discovery of the mysterious eponymous creature in a dilapidated garage. We already know about Mina's love of nature, her passion for freedom, her struggle for truth. Now, through a series of reflections and brief stories told in many different styles, Mina describes her feelings on the death of her father, her catastrophic experiences at school, her fears and hopes, especially for the fledgling birds she watches closely from her perch up a tree. Almond promotes and celebrates freedom for children and their thinking in this lyrical book about growing up. Ribblestrop Towers, a school with a healthy scorn for timetables, tests and inspections, provides an amusing background for a clutch of wild adventures in this ebullient sequel. There's treasure hidden deep in the vaults of the building, which attracts a bent copper and his sidekicks, among others. To find it, they must get past the local monks, whose vow of silence makes them less than helpful. Meanwhile, a new term begins with the arrival of a truckload of wild animals and their ageing minder. Biology lessons are now hands-on, including helping a panther give birth to her cubs, while circus skills are practised at all available moments. A boy with a gun who is mad enough to use it, a new boy with mechanical skills beyond his years and a football match with a difference all make Ribblestrop a delight to return to. Troublesome children are familiar in fiction; parents behaving badly less so, perhaps because the reasons may be sadder and harder to resolve. In this touching, bittersweet story, Martha deals imaginatively and bravely with her father's increasingly erratic behaviour after her mother dies. Shielding him from other adults' pity and blame while also protecting her younger brother Tug could be daunting. But Martha is resourceful and she keeps everything in perspective. And, despite it all, she keeps her own dream alive and with it a sense of hope. 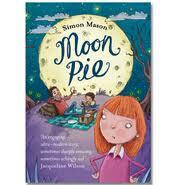 Mason doesn't flinch from great sadness in a delicately told, warm-hearted story with a triumphant ending. Mosca Mye, the gutsy orphaned heroine of Fly By Night, returns in Twilight Robbery, ducking and weaving her way through a darkly sinister world. Fleeing from their past misdemeanours and those who have suffered from them, Mosca and her devious companion Eponymous Clent arrive disguised at the City of Toll. An unusual place, it has two personalities: Toll-by-Night and Toll-by-Day. More than that, there's a price to be paid for entering and leaving Toll. Mosca and Clent have to learn the rules of this devious place and to unravel the complicated plot that binds the city to its unsavoury customs. As befits a story that revolves around the power of books and the pleasure of reading, Twilight Robbery is a linguistic delight, phrased with precision and a strong and finely tuned wit. The Guardian Children's Fiction Prize will be announced on Thursday, 10 November at a ceremony at King's Palace in London. With Bumble-Ardy out on the shelves now (which thrills and delights me...I'm sure you can tell), I thought I'd share with you the very beginning of the Bumble-Ardy. 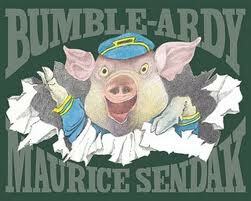 Maurice Sendak first began to develop the character in 1971, in an animated short for TV's Sesame Street by Jim Henson. In the short film, Bumble-Ardy was a nine year old boy who invites nine swine over for a party while his mum is at work. Enjoy! OUT NOW! The Bippolo Seed and other lost stories by Dr. Suess. And it's wonderful! 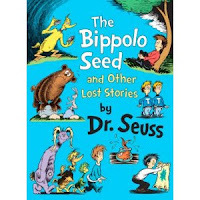 This collection includes seven original stories by Dr. Suess that were originally published in Redbook magazine in 1950 and 1951 (when Dr. Suess was becoming Dr. Suess.) Never before published in a book before, they seemed to have 'disappeared', until the were recovered by Charles Cohen. On the above video, you can hear all about their discovery and road to republication by Cohen and a few publishers at Random House Books for Young Readers Group. Fascinating history.... and a fabulous book! Here's the magnificent trailer for Patrick Ness' 'A Monster Calls', which was based on an idea and notes left behind by the late Siobhan Dowd. This book is, in my opinion, possibly the best book released this year, if not in a good few years. If you haven't read it yet, young or old, I strongly recommend it. It will change you...and is completely unforgettable. Sow And Grow! Living Gardens! This is a lovely website for children/families/schools. Aimed to 'nurture with nature', Sow and Grow works with schools, creches, after-school programmes, to give children the freedom to explore and learn, use their senses.... all in nature and in the garden. This is something children desperately need in these times, where far too much time is taken up by indoor activities, and by the fact that the world is not necessarily 'child-friendly', in that we must be much more cautious in letting our children run free in the fields and forests, like we once did. And, for those of us in the west, I do really need to point out Kay Synott's lovely 'Living Gardens' website. Kay does exactly the same thing as Sow and Grow, with much enthusiasm, knowledge and energy here in the west. Kay has (and does) worked with many, many schools and groups throughout the Galway area. Now, I know it's autumn, and getting darker and colder, and we don't normally think of gardening activities at this time of year.... but this is exactly the time to get things rolling. So all you schools, community centres; even those of you planning birthday parties; check out these wonderful websites and see what they have going. It may be exactly what you're looking for! APPLE DAY! Sunday September 25! This Sunday, September 25th is Apple Day in Scariff, co Clare (sponsored by Irish Seed Savers.... in fact, this whole weekend is Apple Weekend). With loads of activities and events, there's plenty for the kids! 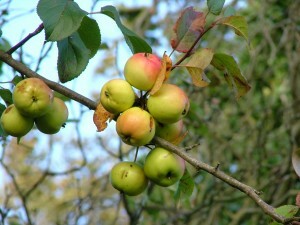 (Bug hunts, face painting, apple tasting.... who doesn't like a good bug hunt?). So, if you're looking for something brilliant to do this weekend; here's the schedule of events! Tomorrow sees European Researchers Night arrive in Salthill for the first time ever. This event show cases science on a grand scale, totally 800 venues in 320 cities across Europe celebrating this momentous event. Ireland's participation will take place in Salthill, Galway as the Sea2Sky festival. This is a free, family-oriented event at which hundreds of scientists will showcase their work in variety of fields including Astronomy, Marine Science and Atmospherics. There will also be a variety of musical and entertainment events for the young and old. "Exhibits throughout the day will allow the public to learn more about whales and dolphins, take a 3D tour of the universe, tour the Galway Atlantaquaria, check-out scientific demonstrations, and take part in a variety of other hands-on activities. Scientists will be on hand in the main exhibition hall in Leisureland where stands will display areas of science from energy research and marine life to the study of the solar system. Visitors will have a chance to explore the mini-sea exploration vehicle which was used by scientists in the recent discovery of hydrovents deep in the Atlantic." Our good friend and storyteller extraordinaire, Rab Swannock Fulton will even be there to delight us all with 'Wonder Tales for Youngsters' at 4:30pm, 'Magical Sea Tales' at 5:30pm and 'Scary Tales (for older children and adults) at 6:30pm - all in the Circus Tent at Leisureland and all for FREE! THis, plus a host of displays, demonstrations and free admission to the Atlantiquarium and all it's exhibits...from 11am through to 11pm. Here's the programme link. It's a can't-miss-event! "And despite the dangers and the terrors that inhabit his books, Sendak said he had never received a letter from a child which said "Go to hell". Instead, "they are always thanking me for opening the door, even if it was only peeking through to show how difficult life could be", he said. "What I do as best I can is out of a deep respect for children, for how difficult their world is. Yes, there have to be places for safe wonderful stories. It's a big world; it's a big profession. But there should still be crazy people like me and Tomi [Ungerer] left." 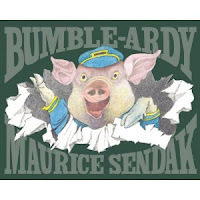 Bumble Ardy, the story of a young pig who's never had a birthday party and is left unsupervised as he undertakes his own wild masquerade party is Sendak's first picture book since 'Outside Over There' in 1981. Sendak is the winner of numerous prestigious awards for this picturebooks, including the Caldecott Medal for 'Where The Wild Things Are', the Astrid Lindgren Memorial Prize, the Laura Ingalls Wilder award, and the Hans Christian Andersen award. Bumble Ardy will be released on 29 September. My Favourite Story Video Ever! No...this isn't new news, but I do have to share it. 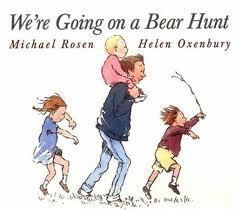 And... my favourite, favourite story video of all time is 'We're Going On A Bear Hunt.' No gimmicks, no glitz, no animation...just the exceptionally wonderful Michael Rosen. You can find this, and many others on his website. October is Children's Book Festival Time! Yes, October is Children's Book Festival time all over Ireland. Those good people at CBI have planned an even bigger and better programme of events all over the country! And this year's events will have a real international flavour added to our own homegrown talent, with authors Tony DiTerlizzi (Spiderwick Chronicles and the latest Search for Wondla), Frank Cottrell Boyce (Millions, The Unforgotten Coat and the upcoming Chitty Chitty Bang Bang Flies Again), Andy Briggs (the new Tarzan series) and William Hussey (the Witchfinder series) bringing their experiences to events countrywide! So, Children's Books Ireland (and me!) invite and encourage you to join in and start now... whatever your taste, EAT BOOKS! The Children's Book Festival catalogue will be available from bookshops and libraries shortly, with the list of events and loads of reviews and recommendations (including a few from yours truly)! "During this year’s festival, CBI will be asking children, parents, teachers, bookseller and librarians to nominate an Irish author or illustrator who they think deserves the title of Ireland’s second Laureate na nÓg. After two years as Laureate, May 2012 will see Siobhán Parkinson hand the title over to her successor. The unique honour will be awarded to an established and dynamic children’s writer or illustrator with an internationally recognized body of work for children." While we'll all be sad to see Siobhan go, we'll also be equally excited to see who gets to step up and take the reins. I don't envy them. Siobhan Parkinson is a very hard act to follow! Never the less, it's time to put your thinking caps on. The winners of the two £2,500 prizes (one for each category) will be announced at an awards ceremony at the Unicorn Theatre in London on 8th November. Any favourites of yours on the lists? Bath Kids LitFest has launched the Big Blog Story! This is a really exciting online event that includes 20 collaborators (some are well known authors and bloggers). It's a story that's written in real time, and allows you, the reader to follow the trail as it moves from blog to blog.... an addition to the story will be posted at each stop. The Big Blog Story runs from the 8th of September (that was yesterday!...yikes!) through the 16th October. The first installment is already posted on the Bath Kids LitFest Blog, and all you need to do is click through to the next installment from there. Installments are posted every other day. The schedule is posted on the blog, as well... so you know exactly where you're going and when! You'll find such people as Marcus Sedgewick, John Boyne, Lauren Kate, Annabel Pitcher, Joanna Nadin... and, as you can see, the possibilities with this are endless. Exciting stuff from the Bath Kids LitFest! ... and what a closing programme! It all starts off at 10.30am in the County Hall with Gillian Perdue and The Great pet Shop Escape; a lively workshop of story, drama and dance. At 11 there's a brilliant Animation Workshop by Cartoon Saloon. At 11.30, Oliver Jeffers is Stuck on Books. At 12:30, the Cartoon Saloon is back with part two of the Animation Workshop. 1pm is the time to meet the Queen of Teen, Cathy Cassidy. (Her new installment of the Chocolate Box Girls series 'Marshmallow Skye' is out now and going fast!) At 2pm it's time for Animal Madness with Mavis & Marge, and their exceptional creator, Niamh Sharkey. I hope you've all been preparing in advance for the Mountains to sea Monster Family Book Quiz at 2:30..... And, finally, to wrap up the day (and the children's/family events of this years' festival) it's Derek Landy and Mr. Skulduggery himself Kicking Evil Very Hard In The Face! So... if you're at lose ends on Sunday, here's the link to the great family/children's events (all curated by author/reviewer/children's books expert and all-round wonderful and lovely Sarah Webb) for the final day. You won't regret a minute of it! While we are still enthralled with all the goings on at the Mountains to Sea Festival at the moment, let's take some time to keep the excitement going. 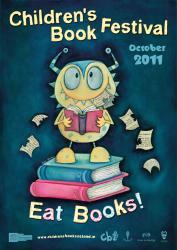 October will bring us an incredible Childrens Books Festival this year from those good people at CBI. But before I launch into that, I can't forget Baboro. This year's Baboro Festival is now in it's fifteenth year runs from October 16 through the 23rd. It will present a world of wonder, imagination and entertain to the children of Galway through theatre, dance, literature and many other fun events. This year's theme is 'illumination' and the programme will present the work of artists, authors and companies who have 'woven light and shadow into their work.' Authors included will be Malachy Doyle, creator of many wonderful picture books such as Charley is my Darling, When a Zeeder Met a Xyder and The Dancing Tiger; Patricia Forde whose fabulous Lola series saw the addition of the second book, Hedhehogs Do Not Like Heights, as well as Citi Cearc and the new Binji (launched shortly); Alibhe Nic Giolla Bhrighde (Coco na Colgan Cairdiuil) and the reknowned Melvin Burgess. This in addition to so many fantastic performances and exhibits, workshops and readings... October is going to be a busy and wonderful month in Galway! For the full programme, follow the link below. 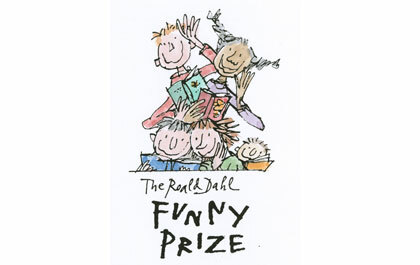 Roald Dahl Day takes place every year on September 13th, Roald Dahl's actual birthday! There are events taking place all over the world, and this year is no different. Here's the link to the website so you can see what's happening. If your school (or your child's school), or your local library isn't planning anything that you know of, why not suggest it to them? 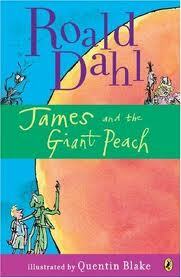 This year, the celebrations are all focused on 'James and the Giant Peach', which is fifty years old! That is one well-preserved peach!!! (I can't decide if this is my favourite Roald Dahl book... or is it 'Danny the Champion of the World'? How about a reading relay? Or a Roald Dahl party? Or.. one of the best ideas that you can do on your own or as a group... is join in with 'Follow That Peach'!!! Sign up and join in the fun. Celebrate the world's best love children's author.